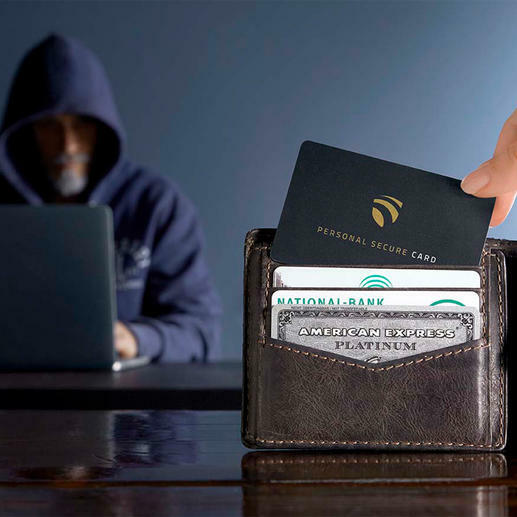 Probably the easiest way to protect your cards from data theft. Simply insert the Secure Card into the card compartment with your bank and credit cards, ID, driving licence, company card, health card, hotel key card, ... Up to 12 cards with RFID (Radio Frequency Identification) and NFC (Near Field Communication) chips are reliably protected against scanner access from the outside. 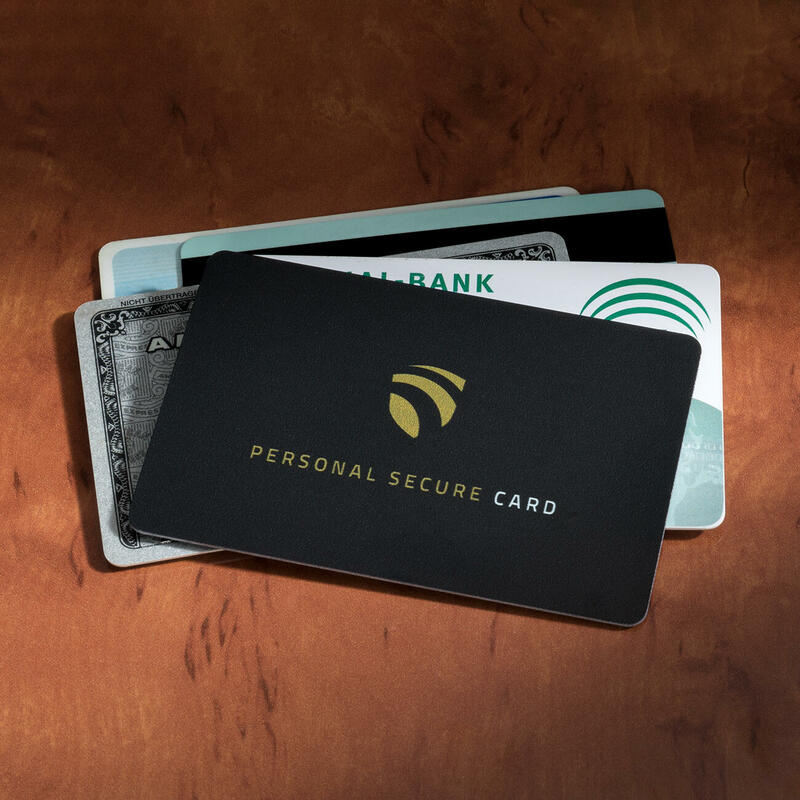 The Secure Card catches the skimming signal from a reader and interferes with it so that it cannot return to the scanner. This is confirmed by the scientific report of the Seibersdorf Laboratory of Austria (test report no. EMV-E 141/16). Works without battery for an unlimited time. Size 5.4 x 8.5 x 0.1cm (2.1" x 3.3" x 0.04"). Weight approx. 6g (0.2 oz). Such a simple, neat, slim and easy to use 'device' which can be put in your card wallet and forgotten! Well, it's in my wallet and whether it works or not, makes me feel better.